Nine Danes were picked as part of Forbes’ annual ‘30 Under 30’ list for Europe, which heaps praise on blossoming talent under the age of 30 within a number of sectors across the continent. Denmark was represented in a number of fields, including health and science, technology and finance, but enjoyed multiple winners in the two categories Manufacturing & Industry and Retail & eCommerce. 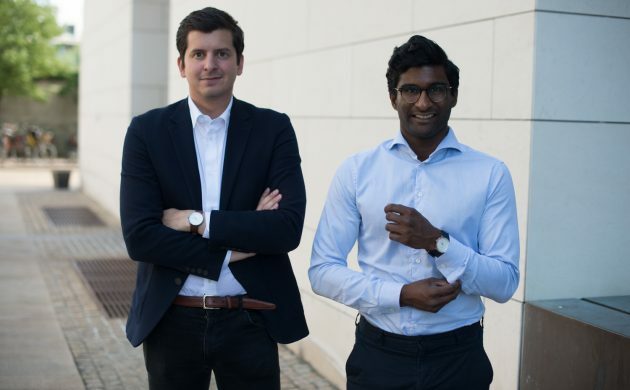 Among those chosen in Retail & eCommerce were talented duo Pascar Sivam and Vasilij Brandt, the 28-year-old cofounders of watchmaking startup Nordgreen, which turned to crowdfunding to reach prominence last year. Last year, Nordgreen’s modest campaign goal of 100,000 kroner on Kickstarter ended up netting close to 1.5 million kroner – making it the biggest fashion crowdfunding campaign in Danish history, as well as a top 10 fashion Kickstarter brand in Europe. Also gaining accolades in the Retail & eCommerce category was Mads Fibiger, 27, the cofounder of Organic Basics, a Copenhagen-based company that has kickstarted its way to success with its 100 percent sustainable design. The category of Manufacturing & Industry also had two Danish mentions. Mads A Olsen, 27, was praised for his work as cofounder of Blue Energy,a climate-friendly power company that incentivises conservation via a flat membership rate. Eirik Eide Pettersen, 28, also received plaudits for Seaborg Technologies, which is constructing a nuclear reactor that aims to become a nuclear power plant able to recycle nuclear waste that can’t melt down or be used for weapons technology. Garnering praise within the scope of Finance was Niels Fibaek-Jensen, 26, the cofounder of the Danish pension/fintech startup Matter, which focuses exclusively on sustainable investments. Within the realm of Science & Healthcare, Fatima AlZahra’a Alatraktchi, 29, was hailed for her development as a PhD student at DTU of a sensor that can swiftly detect pseudomonas aeruginosa, a bacterial infection for people with vulnerable immune systems. She has founded PreDiagnose as a result of her research. Camilla Hessellund Lastein, 25, took a bow in the Social Entrepreneurs category thanks to being the founder of Lix, a subscription-based digital textbook app. And finally, Tony Beltramelli, 28, attracted praise in the Technology category as the founder of Uizard Technologies, which turns wireframe images into code – a massive help to designers.